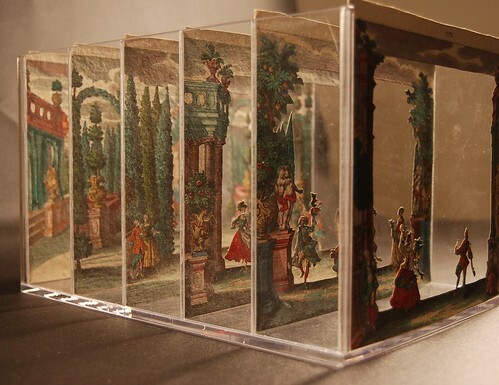 Tunnel books or peep shows are a series of cut-paper panels placed one behind the other, creating the illusion of depth and perspective. Often, these are engineered like an accordion, with the two boards pulling apart and the illustrated panels lined up and viewed through a front peep-hole or viewer. A recent purchase by the Cooper-Hewitt Design Museum Library is an 18th century tunnel book attributed to the engraver and print-seller Martin Engelbrecht (1684-1756) of Augsburg, Germany. 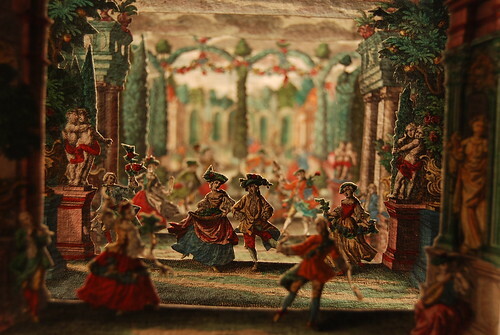 The set includes six hand-colored etched prints on light gray laid paper, with sections carefully cut out to create a perspective view of aristocratic men and women dancing together in a formal garden. However, there was no box or accordion support to hold the prints, just six loose cards. The tunnel book is to be included in the upcoming Libraries’ exhibition, Paper Engineering: Fold, Pull, Pop, and Turn opening in June 2010. However, work needed to be done in order to make it viable for display. 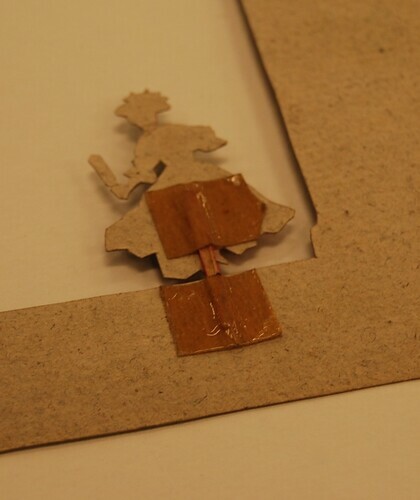 The tape and residual adhesive was removed with a scalpel, then layers of narrow sections of japanese paper were adhered with wheat starch paste to the leg area. 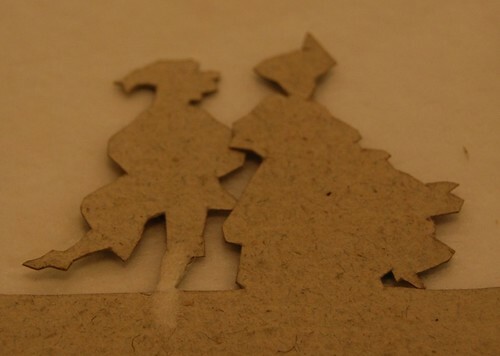 The application of japanese paper to the back was performed on a number of the figures. 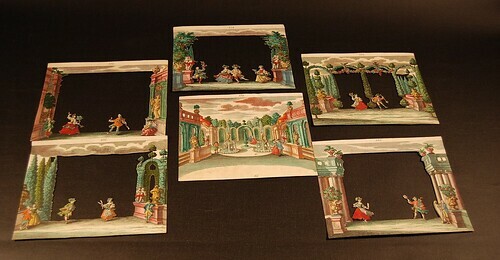 Once the figures were strong enough to stand on their own, the sections were sent to the Smithsonian Office of Exhibits Central where mount-maker Richard Gould created an acrylic support so that the sections—placed in slots at two-inch intervals—created a theatrical scene when viewed from the front. You can make one! It’s not that hard. Really!